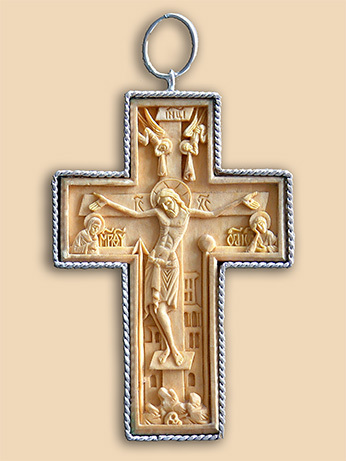 Neck cross with wooden crucifixion. Technique: filigree, granulation, woodcarving (Branislav Djerkovic, Leposavic - www.carvingcross.com). 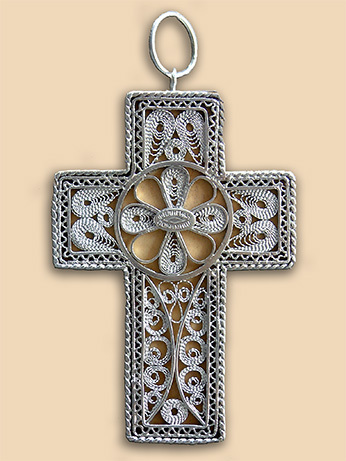 Size: cross 7 (8.3) × 4.8 cm.